GORDONVILLE – What do Brian Dawkins, Bill Bradley, Wes Hopkins, Michael Lewis, Jerry Norton, Randy Logan and Quinten Mikell all have in common? 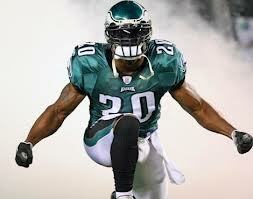 They are all safeties who have represented the Philadelphia Eagles in the Pro Bowl. This tradition of decades of quality safety play extends beyond Pro Bowl bids, which are often political and often feature voters selecting the same players out of force of habit. Case in point is the beloved Andre Waters. The late No. 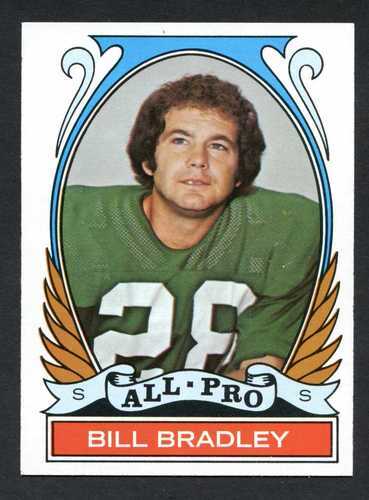 20 never went to a Pro Bowl, but was voted to the Eagles’ 75th anniversary team, alongside Dawkins, at safety and was a first-team UPI All-Pro choice in 1991. It is a tradition – on good and not-so-good Eagles teams – that has been carried on by others, too. Don Burroughs, a 6-foot-5 safety who snagged a league-high nine interceptions in that long-ago last championship season of 1960 (and 29 in five total seasons with the Eagles), was a second-team all-league choice by the AP in 1960 and second-team by the UPI in 1961. Terry Hoage’s eight interceptions – while platooning with Hopkins – earned him a second-team All-Pro nod in 1988. Joe Scarpati played six seasons for the Eagles in the mid-to-late 1960s and had 24 interceptions, including eight for a league-high 182 yards in 1966. Brenard Wilson, who started alongside Logan in Super Bowl 16 against the Oakland Raiders, had 15 of his 17 career interceptions in three seasons (including six in 1980, the NFC Championship year). But 2009, when Mikell went to Hawaii as a Pro Bowl alternate, marked the start of an era of darkness. Since then, the Eagles have been like the 1980s pop band Men Without Hats – as in hats (coachspeak for helmets) on receivers coming over the middle or running backs galloping free downhill like runaway locomotives through the nightmarish Wide-9 defense. In an attempt to fix the problem, the front office has been doing its own “Safety Dance” – the big smash from the aforementioned Montreal-based New Wave act – without much success. And for all the excitement generated this past season, when the Eagles and rookie head coach Chip Kelly went 10-6 and captured the flag in the NFC East behind the mercurial play of quarterback Nick Foles and league rushing champ LeSean McCoy, the back end of the defense remained their Achilles’ heel. The play of the cornerbacks – Cary Williams and Bradley Fletcher on the outside and Brandon Boykin in the slot – was adequate, but they can only do so much, in lieu of holding their man and drawing crucial penalties, before releasing receivers to the next level and/or waiting for help to arrive over the top. The safety position, even to the most casual observer, is the top priority. How, exactly, can it be done with a rookie crop considered just average and a top-heavy free agent list that gets thin in hurry? Step one is cleaning house of the group in place. Patrick Chung, who seemed like he was more in the way of his own teammates than the opposition, is sure to be jettisoned, along with his $3.75 million salary, after one disjointed season. Nate Allen, whose claim to fame last season was that he was “better” than the comatose way he had played before, is a pending free agent. Ditto for Kurt Coleman, who was the one-time starter mercifully relegated to special teams work last season. Another free agent is special-teamer Colt Anderson, who is really a safety in name only. That would leave only Earl Wolff, whose efforts as a fifth-round rookie made him a default cult hero before a knee injury put him on the shelf. Practice squad holdover Keelan Johnson could get a look as a deep reserve at the NFL’s minimum wage, but there is no emotional attachment or investment of a draft pick there. If this scenario isn’t a clean slate – a chance to do a safety dance right into a new era – then what is? The murmurings are that Allen, the player the Eagles drafted with the second-round pick obtained from the Washington Redskins in the Donovan McNabb trade, has enough people still pulling for him within the front office to be brought back on a palatable deal. If that’s the case, that would need to be as far as it goes, in terms of giving out 15th chances to this group of do-nothings. The Eagles are facing a considerably tougher schedule this season and their weakest area needs an upgrade. There should be at least one free agent signing and one draft pick joining Wolff and, probably, Allen. There are some safeties in the draft worth considering, but not worth a reach of Jaiquawn Jarrett proportions. Pre-combine, most reputable mock drafts had Alabama’s Ha Ha Clinton-Dix going before the Eagles pick at No. 22. His value is not likely to drop, as he has proven adept at not letting some of the best college stud receivers get past him, but he could be pushed down a few spots – from the mid-teens to the early 20s – if other players at different positions see their stocks rise. If he falls into the Eagles’ lap, it would be a no-brainer. Worth a trade up, though? He is probably not that type of impact player. 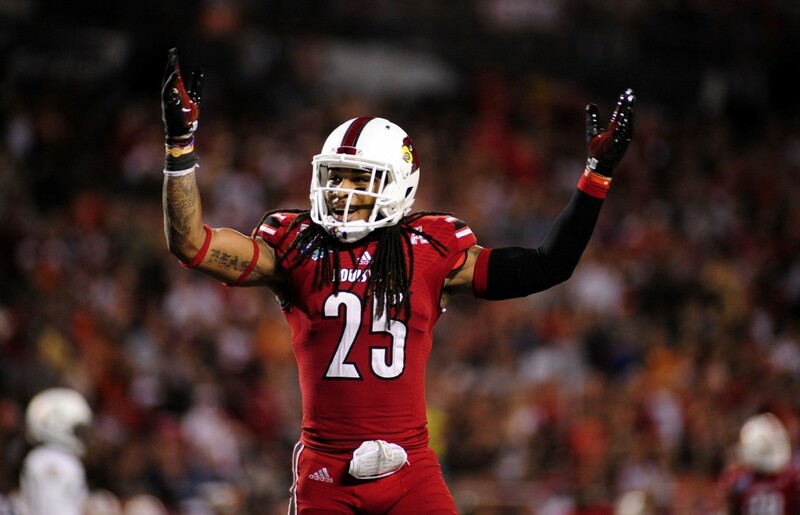 Next on the list is Calvin Pryor of Louisville, who plays with a physical style that would remind the Eagle Nation of Hopkins. Going into the second and third rounds, we see players like Deone Bucannon of Washington State, Dion Bailey of USC and Craig Loston of LSU. All are more in-the-box strong safeties. (Bucannon led the PAC-12 in tackles, Bailey has played a lot of linebacker and Loston’s downhill hits have gone viral on You Tube.) That style safety has a harder time finding a place to land in the run-and-gun NFL (see Jarrett). Among the others still looking to break from the pack at this weekend’s combine and/or individual pro day workouts are Jimmie Ward of Northen Illinois, Ty Zimmerman of Kansas State, Lemarcus Joyner of Florida State and Tre Boston of North Carolina. The Eagles could also think outside the box and earmark a big, raw cornerback prospect for training a safety. An ideal candidate would be Pierre Desir (6-1, 200) from Division II Lindenwood. But the reality is that only Clinton-Dix or Pryor could make immediate impacts, albeit with learning curves and expected rookie mistakes. The top two safeties in free agency are Jarius Byrd of Buffalo and T.J. Ward of Cleveland. Both, like that list of standout safeties in the team’s history, are fresh off of Pro Bowl appearances. And it just so happens that both played at Oregon, Chip Kelly’s former college fiefdom and regular pipeline to the Eagles’ roster and practice squad. On talk radio, Joe D’Fan has suggested signing both, which would be quite a coup, but it wreaks too much of the 2011 “Dream Team” strategy that backfired worse than a speeding 18-wheeler with 20-year-old spark plugs. Roseman is on record as saying he is not going there again. NFL insiders say that Byrd is looking for a humongous pay day while the Browns could brand Ward with the franchise tag before letting him walk. Translation, Mr. D’Fan: Don’t get your hopes up, even for one of them. The next group includes Donte Whitner (49ers), Antoine Bethea (Colts), Chris Clemons (Miami), Louis Delmas (Detroit), Malcolm Jenkins (Saints), Stevie Brown (Giants) or Major Wright (Bears). Whitner could possibly be available, but only if the Niners have to spend too much to retain other free agents. Still, they want him back and he does not want to leave. Of the rest, Delmas seems the most likely to change locations, with Denver the most likely landing spot. And once you get past this group, well, you are looking at guys with either too much tread on the tires or voluminous medical histories. We have Bernard Pollard, last of the Titans, who is 29 years old and has a ring with the Baltimore Ravens. He would bring leadership and a needed sense of honor to the back end, similar to former teammate Williams at the corner, but he does not have the pedigree to end the Pro Bowl drought. An off-the-radar guy to watch could be Taylor Mays. The former three-time All-American at USC is a known entity to Kelly. A second-round pick by the 49ers in 2010, he was promptly traded to the Bengals and never really panned out at either place, largely because of injuries. The 26-year-old was playing decently last season before a shoulder injury put him out of commission, so he would be a candidate for one of those incentive-laden one-year deals. Mays also fits Kelly’s theme of “big guys beat up on small guys,” as he is 6-3 and 220 pounds and ran a sub-4.5 40 coming out of college. At the least, if healthy, he is night-and-day depth upgrade over Coleman and Chung. And then, there is always Mikell. He will be 34 soon and is battling a Lisfranc injury, but his resume has one thing none of the others do. Against a desperate backdrop of needing to head in the future by shedding the present and remembering the past, he did something none of the present have done. He is the last Eagle safety to play in a Pro Bowl. This entry was posted in Sports on February 22, 2014 by gordonglantz.